One thing you will really notice about this AiO is its stunning design. It looks elegant with its ultra-slim “Blizzard White” chassis surrounding the display. It’s certainly not boring looking like other all-in-one PCs out there. Clutter is something you won’t have to worry about. The design also includes fabric covered speakers and a micro-edge FHD touchscreen display. The HP Pavilion All-in-One 24-x035qe will look great no matter where you choose to install it. Whether you use it for entertainment, office work, or both, it does not get hot or loud. It’s a versatile computer that can be used for family entertainment, schoolwork, productivity, research, and ordinary day-to-day web tasks. The 23.8-inch display can be tilted 25-degrees back. 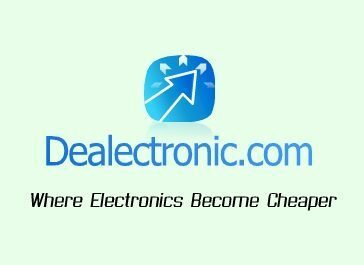 A wireless white keyboard and white optical mouse are included. They match the chassis perfectly. If energy efficiency is a concern of yours, you’ll be glad to know that this is an EPEAT Silver registered and ENERGY Star certified machine made with mercury-free backlights and arsenic-free glass. Everything about the HP AiO meets strict energy-efficiency requirements to help users reduce their carbon footprint. Wireless internet technology allows you to surf the web without any cables. 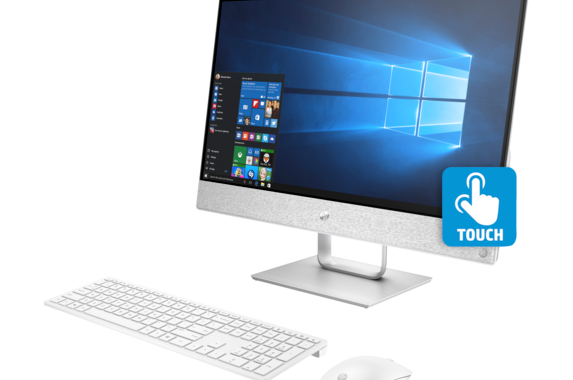 The HP Pavilion All-in-One 24-x035qe features the latest Wi-Fi technology (2×2) with Bluetooth 4.2 / M.2 combo. You can also connect it into the network via the integrated Gigabit Ethernet LAN (10 / 100 / 1000). The processor is an Intel Core i7 model (7200 T) with 2.9GHz base frequency and 8MB cache (four-cores). With Turbo Boost technology, it can get up to 3.8GHz. Dedicated AMD Radeon 2GB 530 graphics enhance performance even more. There are two memory slots, each with 8GB for a total of 16GB (DDR4 2133 SDRAM). The hard drive is a 7200-RPM SATA with 1TB storage, which is an ample amount for such an affordable computer. There is even a secondary hard drive – a PCIe NVMe M.2 Solid State Drive with 256GB capacity. For flash storage solutions, the AiO comes with a 3-in-1 memory card reading device. One feature that really stands out with the HP Pavilion All-in-One 24-x035qe is its 23.8-inch FHD touch screen display (FHD IPS UWVA). It’s an anti-glare WLED-backlit display with a resolution of 1980 x 1080. The power supply with the AiO is a 150-W AC adapter. All of your peripheral needs will be taken care of with the variety of external USB ports, including USB 3.1 for battery charging, Type-C, USB 2.0 and 3.0, etc. Use the popup webcam when you need it and hide it when you don’t, giving you the privacy you need. There are many AiO computers out there, but none offer the reliability, performance, and affordability as the HP Pavilion All-in-One 24-x035qe. Before you get started with your shopping spree, first check and see which HP Pavilion All-in-One 24-x035qe discounts will be of use to you. There should be some sort of coupon offer that you can use to help you save on your order.